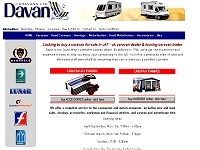 Davan Caravans approached Web Direct with an existing website that had performed poorly - generating very little interest and no sales. Their new objective was to create an online presence which would enable the company to compete with its peers within the caravan industry. Davan wanted a website which would enhance its market image, build a strong corporate identity and significantly increase its web-based sales. Davan Caravans have generated sales that have paid for their site 3 times over in the first 6 months with their new web presence. UKHANDBAGS required an e-commerce website distinct from its competitor sites. The site needed to provide a content management system (CMS) that would allow the client to add products, amend prices and remove pictures and text, keeping content fresh and up to date. Web Direct's creative and strategic teams examined the company, its customers, competitors, target market and market positioning before developing a potential design. The process identified colours, fonts and designs as used across the web. The website was then built incorporating Web Direct's content management system. The site provides a cost effective and convenient method for UKHandbags to maintain information in-house using Web Direct for support, web marketing and graphical development. The generic CMS was adapted to include time-based content throughout the site. Changing content includes imagery and out-of-stock prompts helping to give the site a fresh and up-to-date look on every user visit. Project: For patients that have suffered from Leukaemia, the traditional relapse identification process identifies less than half of the final relapse cases. Recent assessment of minimal residual disease (MRD) by molecular and flow cytometric methods, on the other hand, has been consistently shown to identify relapse risk with much greater sensitivity and specificity than any other risk criteria. Objective: To provide the co-ordination, recording, storage and correlation of MRD patient data from the UK MRD - Laboratory Network [4 other Laboratories in UK] using Secure temporary storage for up to 10Mb data files for convenient future download, and the facility to record ongoing results for each MRD patient. Following the recording of a minimum amount of data, more time and cost-effective testing and resulting more specific treatments will be possible using the information in the database. Benefits: Before this project began, UK MRD faced the daunting prospect of receiving large data files by email at unspecified and unarranged times, and also faced the recording of data in a very labour intensive way. With the core of this project completed, UK MRD can now enjoy secure password login to the patient record database with the Co-ordinating Laboratory having Admin rights over the database. All confidential files can be securely transmitted and stored in the database with the Co-ordinating Lab able to retrieve files at their convenience. The Co-ordinating Lab are able to filter patient criteria information in the database, answering their query with more accuracy and speed. 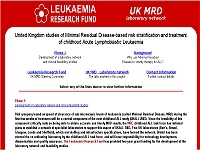 Continuing project: The UK MRD project continues to grow in facilities, features, flexibility and scope as the Co-ordinating Laboratory become aware of the ability of the web to make new ideas possible. Salon Collective is a leading hair care company who required a complete online presence. Web Direct designed and built an e-commerce website that enables visitors to browse the hair care collection and purchase in a simple and very secure environment. When an order is received the system instantly sends notification emails to the distribution warehouse. Web Direct were commissioned to develop the site and to implement an ongoing online marketing campaign for the company (including a monthly newsletter) and the site has been specifically designed to rank well in search engines such as Google and Yahoo! Salon Collective are now consistently attracting over 77,000 visitors a month to their website.